Changing Your Lawn Mower Engine Oil? There is one common thing about engines – they always call for oil change at one point or another. Unfortunately, most people overlook this element especially when it comes to farm machineries and basic equipment used for home maintenance. Take the lawn mower for instance. Chances are, you have changed your lawn mower’s engine only when you suspected something was wrong with its engine. This is of course, the wrong approach as far as lawn mower maintenance is concerned. So just how should one go about changing his or her lawn mower’s engine oil? Read on to find out. Do this each time you are about to start the lawn mower. To get an accurate reading, check the oil level while the engine is still cold. The reading will be accurate or at the very least near perfect, because most of the engine oil will be in the crankcase. Be sure to use clean, soft cloth to wipe the area around the crankcase before opening it. That way, dirt and debris will not get into the crankcase and cause more problems. Use dipstick to inspect the oil level as well as its quality. 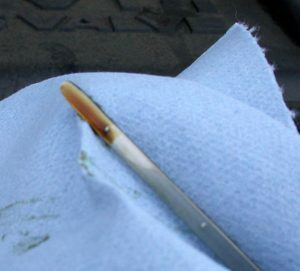 Dab the oil with a soft, clean tip of a cloth to inspect it if you do not have a dipstick. Remove the dipstick first then wipe it with a clean cloth if the engine has a dipstick cap. Reinsert the dipstick into the crank completely so as to get an accurate reading. If the dipstick’s cap is a screw in type, then screw it all the way into the crank before you can remove it to check the engine oil level. You may have to be patient while doing all these. Once you are done, note the oil mark on the dipstick. The right or rather accurate mark should be the one between the lines on the dipstick. Be keen on the level you read. It should not at any point be above the FULL mark or below the ADD line. To change the engine oil, drain it while it is still warm. You can do this after allowing the engine to run for a few minutes. Draining the oil while it is still warm will make it easily get rid of many floating particles and debris that would otherwise settle in the engine and weaken it or shorten its lifestyle altogether. It can be hard to sometimes know how often you should change your lawnmowers engine oil. The thumb rule is, change should be done after every 50 hours of operation. There are times though when this rule cannot be applicable. Dirty and dusty conditions are good examples of such times. 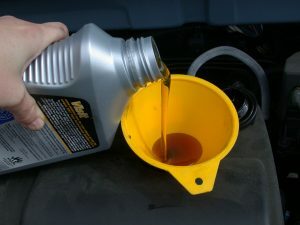 That’s simply because wet grass, high temperatures, heavy dust and sometimes rough and hilly terrain may significantly increase the frequency of the number of times one should change his lawn mower engine oil. Be sure to read the instruction manual of your lawn mower. Then note that lawn mowers feature different oil capacities. 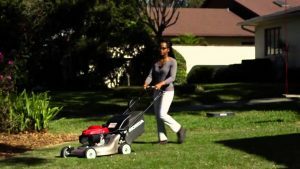 Simple lawn mowers will for instance, always use less oil as compared to ride on mowers. This entry was posted in Uncategorized | Tagged lawn mower,engine oil,engine maintenence. Hempfield Small Motors was established in 1985 with the goal of providing professional equipment at affordable prices to the people of Western Australia. What to do With Your Lawn Clippings?